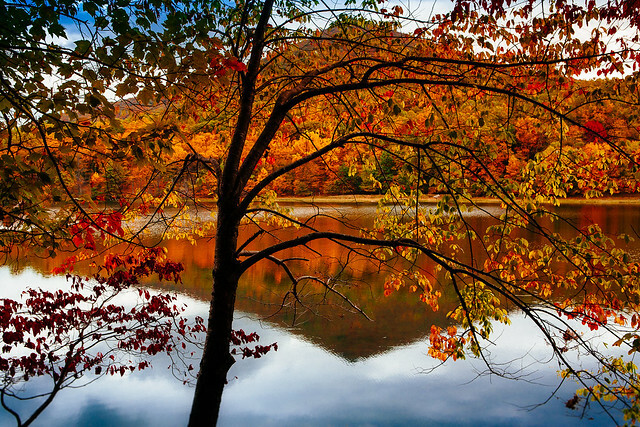 Everyone wants to know the best places to see the fall colors in the Blue Ridge Mountains. Every autumn, the fall foliage that can be found along the Blue Ridge Parkway and Blue Ridge Mountains of Virginia make the region one of the most beautiful places in the world. Peak fall color for the region typically occurs between late-October and early-November, and this is often the best time to visit if you&apos;re planning a trip focused on seeing the gorgeous leaves. 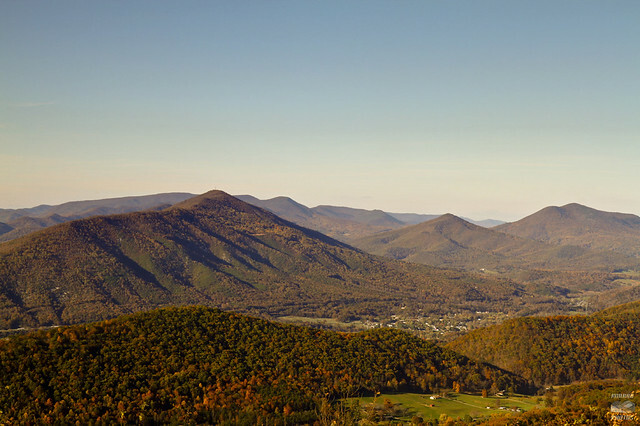 The elevation changes, various plant species and a supportive climate make the Roanoke Valley in Virginia&apos;s Blue Ridge a place that features views of the mountains covered with colors that you would expect to find in a postcard. 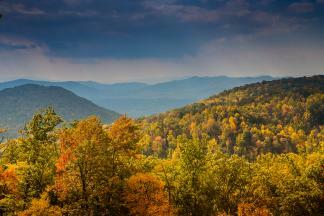 Here&apos;s more information on the science of the fall color in the Blue Ridge Mountains. While there are great views of fall foliage all around the region, including many scenic drives you can enjoy, there are a few particularly special spots that offer views that will leave you amazed. We&apos;ve created an alphabetical list of best places to see fall colors in Virginia&apos;s Blue Ridge, as well as a map to help you find them! 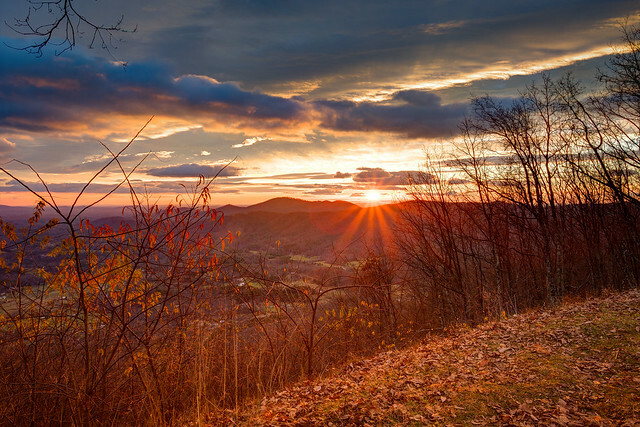 At an elevation of 3,013 feet, this scenic overlook on the Blue Ridge Parkway provides a breathtaking view of the surrounding valley and mountains, including the nearby Cahas Mountain. The plateau and green space at this overlook also make for a nice picnic spot. 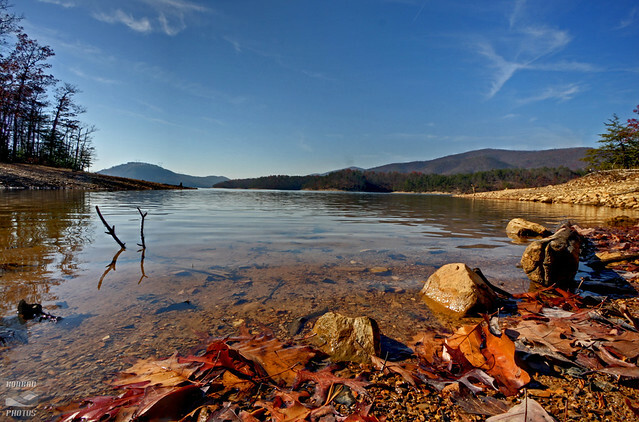 As the second largest municipal park in the United States, the 12,700-acre Carvins Cove Natural Reserve is a place full of outdoor recreation opportunities in the heart of the natural beauty of Virginia&apos;s Blue Ridge. 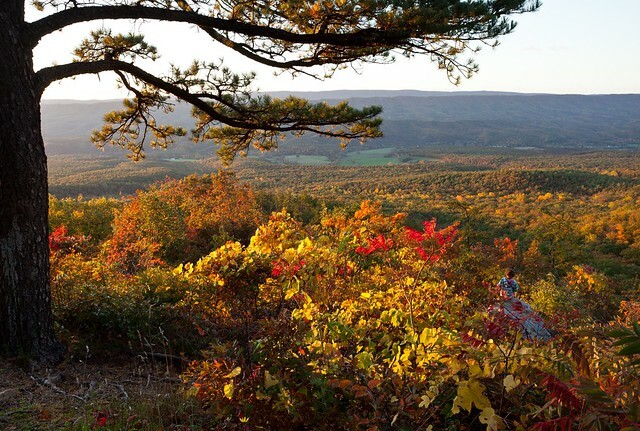 Take in the fall colors and enjoy a mountain biking, fishing, hiking or boating adventure. Tucked away near the town of Rocky Mount in Franklin County, the Grassy Hill Natural Preserve features over six miles of hiking trails, with spots that include scenic overlooks of the town and the rolling countryside and mountains that surround the area. This short hike in Craig County is an easy, family-friendly trail that leads you to the Hanging Rock Overlook that&apos;s easily reachable via Route 311, a very scenic drive. The hike offers stunning views of the mountains of Craig County and is a great alternative to some of the more popular hikes on the nearby Appalachian Trail. 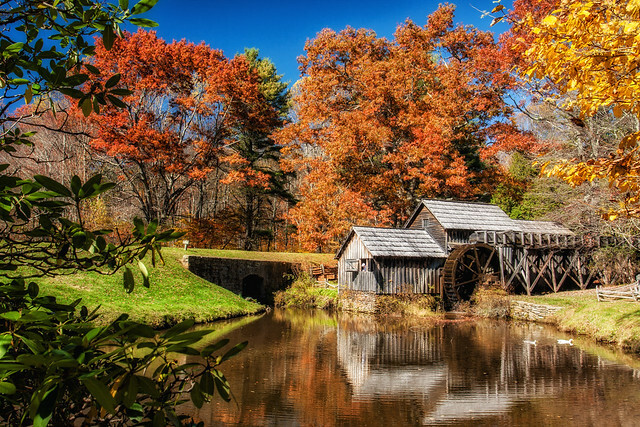 Mabry Mill has long been regarded as one of the most iconic spots along the Blue Ridge Parkway and is a beautiful place to stop to get some pictures of fall colors. The restaurant is also known for their buckwheat pancakes and is a popular breakfast spot. 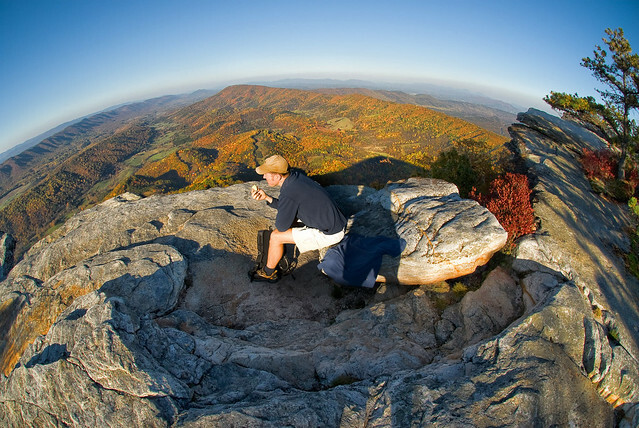 As one of the most photographed spots on the Appalachian Trail, McAfee Knob is regarded by many as the iconic hike of Virginia&apos;s Blue Ridge. The six-mile round trip hike is a moderately difficult climb up Catawba Mountain, but the summit has an unbelievably rewarding view, with 270-degree panoramic looks at the Catawba Valley. See one of our nation&apos;s oldest landmarks while also enjoying the various trails that are part of Natural Bridge Park. The historic Cedar Creek Trail leads you under The Natural Bridge and keep your eyes open for unique plants and wildlife. The Purgatory Mountain Overlook on the Blue Ridge Parkway gives an amazing view of the 2,400 foot Purgatory Mountain and the rest of the magnificent terrain of Botetourt County, including the winding route of the James River. 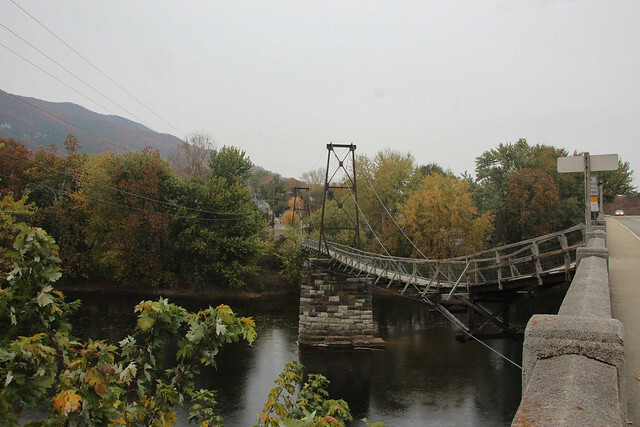 It can be reached via the Parkway and is also easily accessible from Route 43, which connects the Parkway to the town of Buchanan. The four-mile loop at Roanoke Mountain off the Blue Ridge Parkway is a fantastic option for travelers who want to get an incredible view while still being only a few miles from the city. The Summit Trail on Roanoke Mountain also offers an opportunity for a short hike that offers some fantastic perspectives. A can&apos;t miss spot when you visit Virginia&apos;s Blue Ridge. 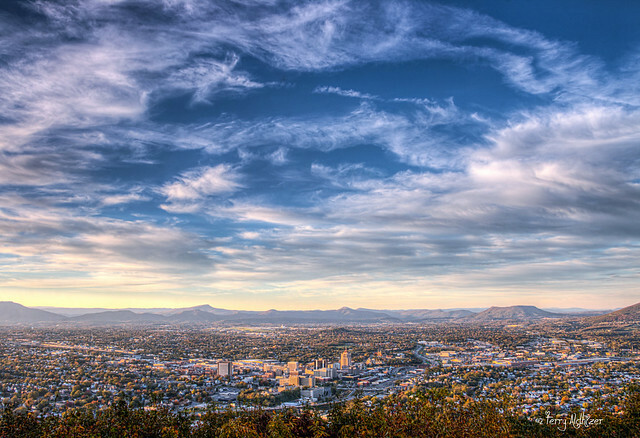 The overlook provides a spectacular view of the Roanoke Valley, including the downtown skyline, as well as the surrounding mountains. 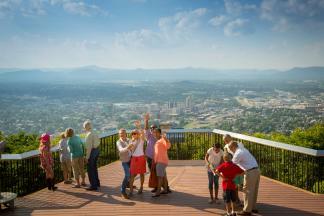 The area is also home to multiple trails, picnic areas and the Mill Mountain Zoo. It&apos;s only a 15-minute drive from Downtown Roanoke and is located directly off the Blue Ridge Parkway at Milepost 120. The Roaring Run Trail in Botetourt County is an easy hike that offers a chance to see fall colors while also visiting one of the most historic spots in the region. The Roaring Run Furnace is a 19th century iron furnace that&apos;s on the National Register of Historic Places. The trail also follows the Roaring Run Stream and features multiple spots of cascading water, including the beautiful Roaring Run Falls. With a lake, restaurant, lodge, campgrounds and hiking trails, the Peaks of Otter has been one of the most popular spots on the Blue Ridge Parkway for years. 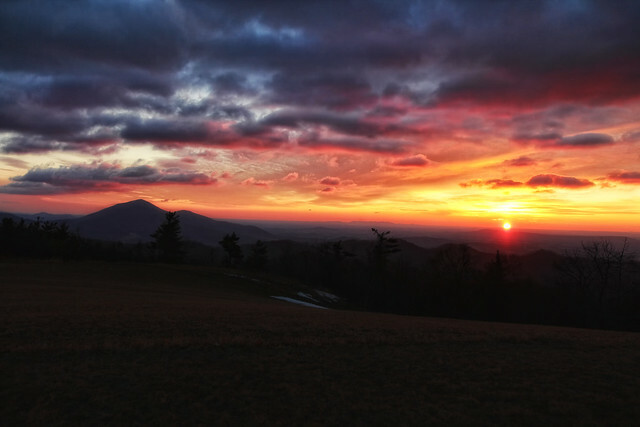 The hike at Sharp Top Mountain, which is one of the peaks, provides an incredible view of the Blue Ridge Mountains. Located in the Town of Buchanan in Botetourt County, the Swinging Bridge is one of the most recognized architectural structures of the area and it offers a beautiful view as it sits over the James River. The bridge features a scenic pedestrian crossing and the combination of colors from the water in the river with the surrounding foliage creates a wonderful scene. In addition to producing some of the finest wine in a state that has become known around the world for its wine, many local vineyards and wineries are also located in picturesque settings that make for a great experience of sampling delicious flavors and beautiful colors. See why Virginia's Blue Ridge is one of the best places in the world to enjoy the stunning colors of fall.